Do you have a vehicle cluttering your drive? Or perhaps it’s too expensive to maintain and use? We would recommend that you scrap a car in Mile End with Scrap Car Kings, the leading local car scrapping service operating 7 days a week. There are a number of reasons as to why you may want to scrap your car. It could be too old to run anymore, too much money to repair, it failed its last MOT or perhaps it was written off. But fret not, we specialise in car scrapping Mile End and can pick your car up for FREE once you’ve submitted a quote and accepted the scrap amount we have suggested. By scrapping your unwanted car, you will save loads of money on any ongoing maintenance costs, and no longer have to splash out on costly repairs and replacements. With the cash from your scrap car, you can put it towards a newer model that meets today’s safety requirements. You’ll be using a more economical, environmentally-friendly car in no time! 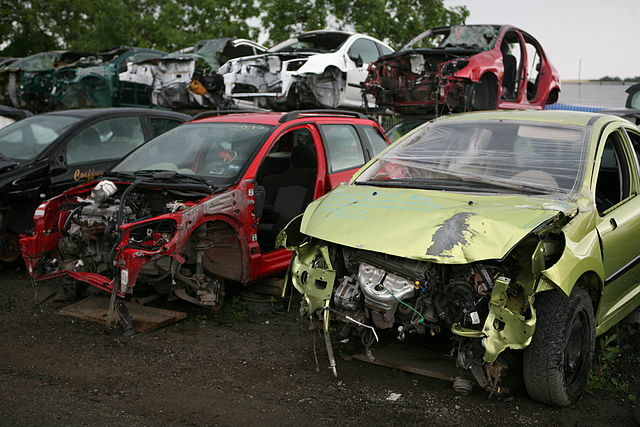 Selling your car for scrap in Mile End is quick and easy. The process is smooth and stress free from start to finish. To find out how much your car is worth in scrap, simply submit your reg number and we will send you a FREE quote. Once you’ve accepted the amount, we will transfer the money via a bank transfer and collect the vehicle within a few hours. It’s as easy as that! Much less stressful than having to shift the old car yourself, right? Your car will then be scrapped at a fully certified, authorised treatment facility, so you can be sure that your car is being scrapped with very little impact on the environment. Contact Scrap Car Kings today for a free quote on scrapping your car in Mile End.